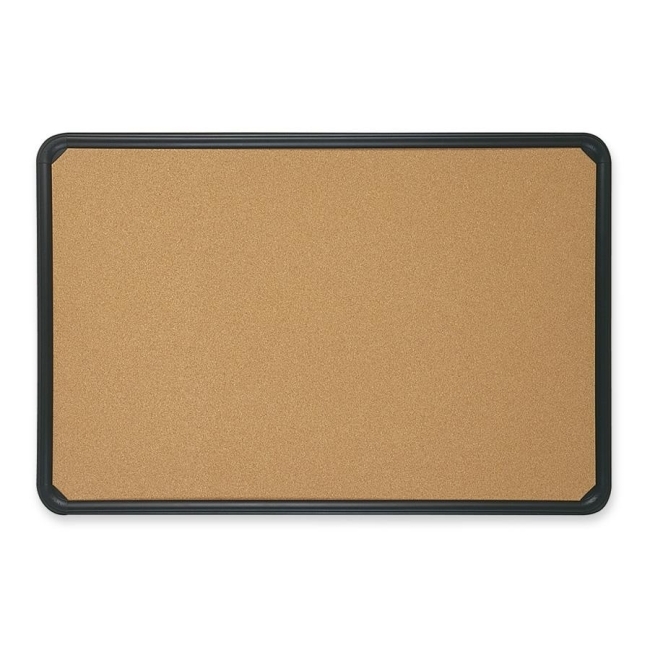 Bulletin Board features a cork surface with a molded one-piece complementary black plastic frame. The self-healing, durable surface hides pin holes while the board is made to resist moisture and warping for long life. The hidden four-corner mounting system offers easy installation to hang horizontally or vertically.